The set for a radiant complexion every day! Composed of four complementary facial skincare products, this set will delight your skin. 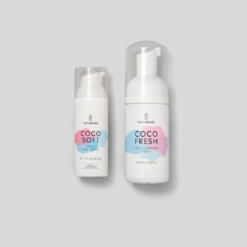 Used morning and evening, our creamy COCO FRESH cleansing foam provides clean, healthy skin every day. Our COCO PURE coffee scrub exfoliates your skin gently, while our COCO CLEAR moor extract mask works its magic with its cleansing properties. To moisturize your face every morning, use our delightful COCO DAY hydrating cream! Discover the benefits of this set, and how best to use it! Exfoliate and regenerate your skin with our creamy, effective face scrub that contains natural coffee exfoliating particles and ground walnut shells. Coffee powder: natural exfoliating particles. 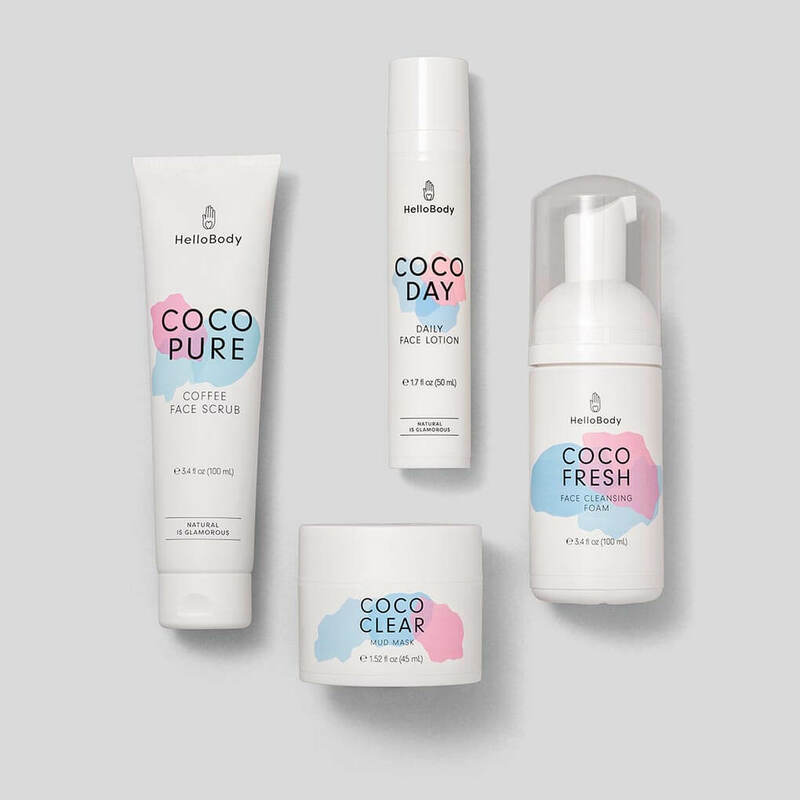 Cleanse your face with our COCO FRESH morning and evening. In the mornings, moisture your face with the COCO DAY. 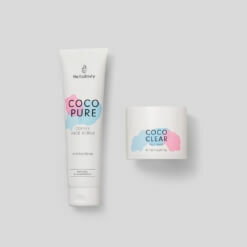 COCO PURE: One to three times a week, use this scrub after our COCO FRESH. Apply on moist skin a nut-sized amount of this creamy scrub and massage gently, in circular motions. Rinse thoroughly with cold water. 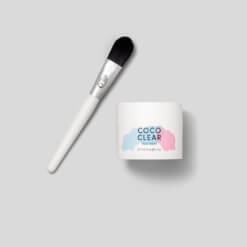 COCO CLEAR: Once or twice a week, after cleansing your face with our COCO FRESH or COCO PURE, apply a generous layer of our peat mask using our MASK BRUSH or your fingers, avoiding the eye area. I’m 32 and I think I have FINALLY found the products that work for my combination skin. It’s so light and soft after use, I cannot believe I haven’t heard of this product until now. Hands down my favorite!! 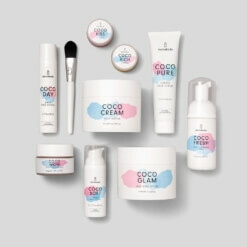 I actually purchased the coco viva set (when there was an amazing sale) which pretty much came with everything but the daily face lotion. May I just say WOW. 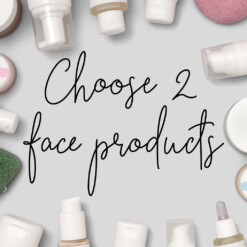 I have always struggled with combination skin and finding products to balance that out was really hard. After using the face scrub, cleansing foam, and either my own daily moisturizer or the coco night lotion, my skin has never looked better. After I use the coco clear mud mask, my skin is so soft to the touch. I wish the set came with the daily face lotion as well but that will have to be another investment in the near future. Will definitely be giving five stars for the other products in the set as well. Love this entire set. Makes me face feel and look great. They all smell great and are very easy to use.